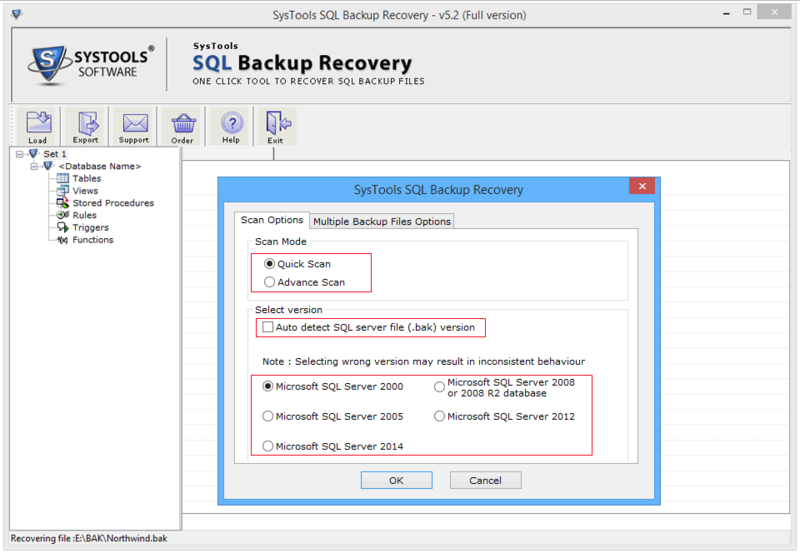 Welcome to SQL Backup Recovery Software your online resource for SQL Server backup and recovery issues. 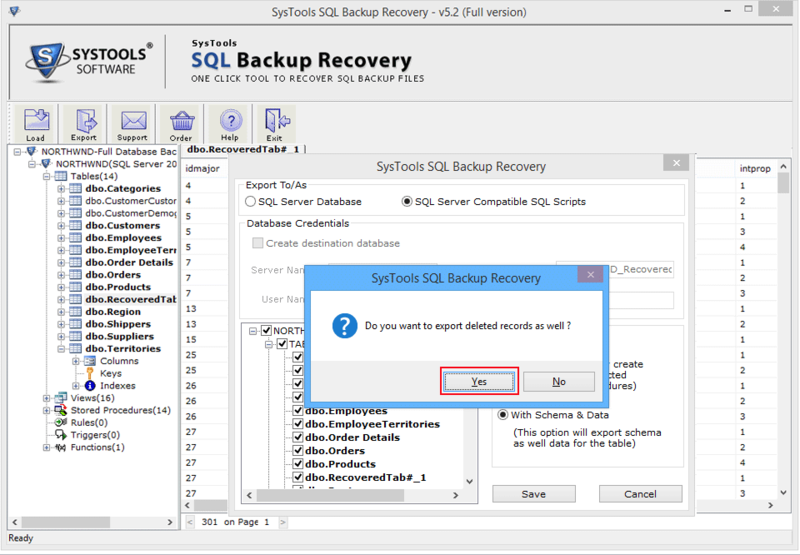 Here we are showing you the software steps that how it works while performing its function and how the software recover corrupt SQL MDF backup file? This section is generally applicable to SQL Server 2000, SQL Server 2005, SQL Server 2008 and SQL Server 2008 r2. If any corrupted or damaged parts are applicable only to specific version, they will be clearly indicated in this block. 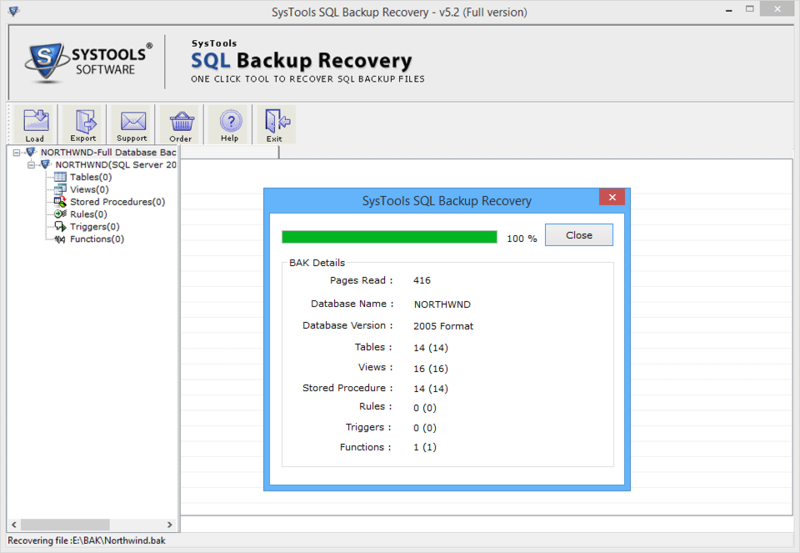 Although the software shows you fully functional steps that comes with the ability to repair SQL Backup file with not a bit of data loss and thus the vital data remains safe and secure. 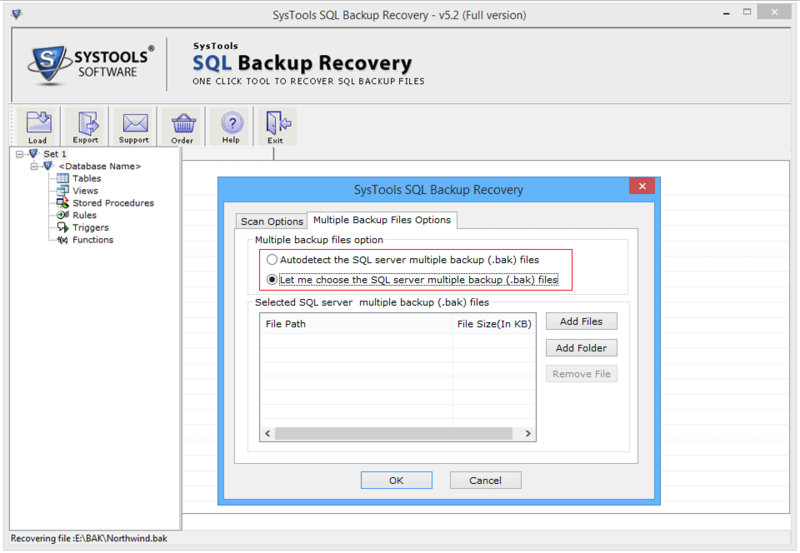 SQL Backup Recovery Software plays a essential role to get backup of SQL database and also fix SQL backup file with ease and efficiency which is felt by our users successfully along with satisfaction. 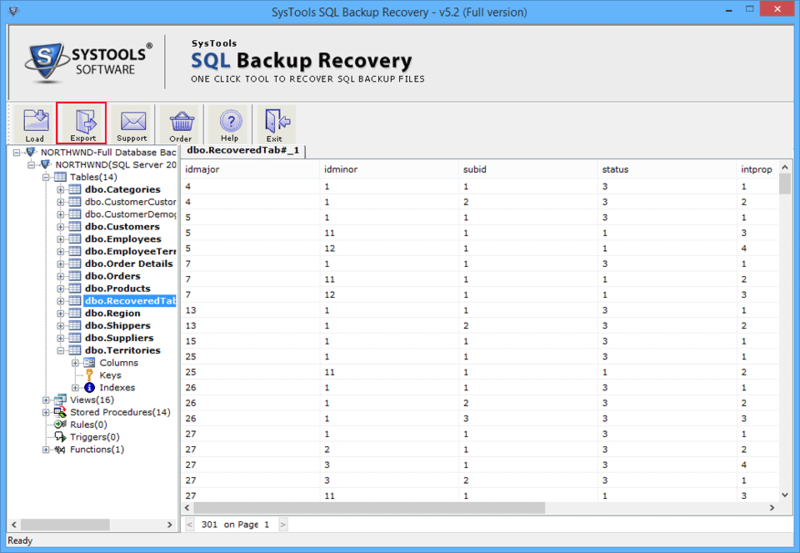 SQL users can also Restore SQL MDF File Backup including all its database objects. 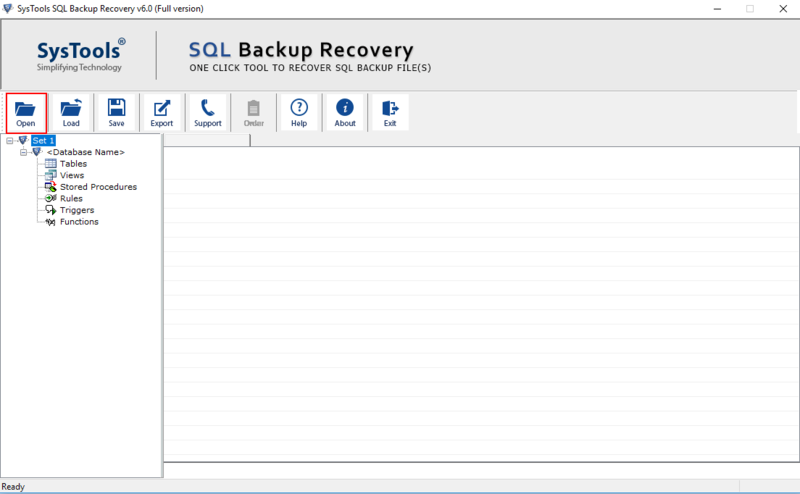 See the presentation of SQL Backup Recovery Software on your screen by going to Start menu and then Program list. 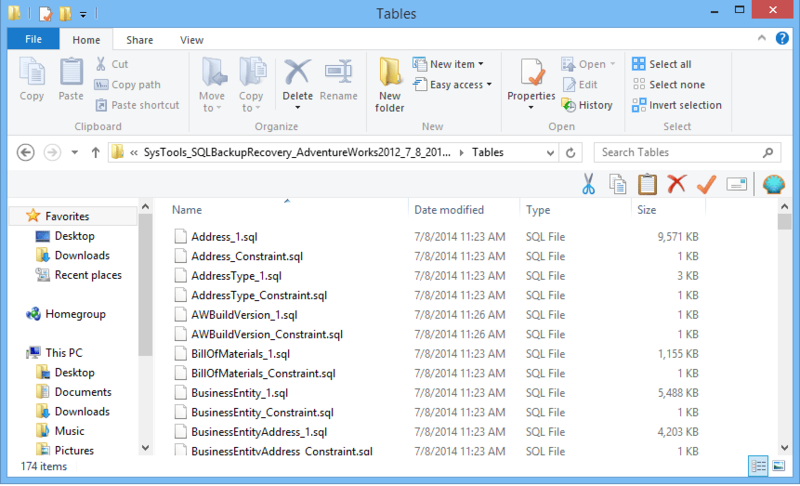 Next Windows will ask for SQL Server version of selected file, click on the actual version of the BAK file version. Then click on ok.
On the above step user can aslo select Multiple Backup Files Options to select mulitple .bak files or whole folder containing multiple .bak file and can remove file from the list. It also has an option to Auto Detect .bak files. 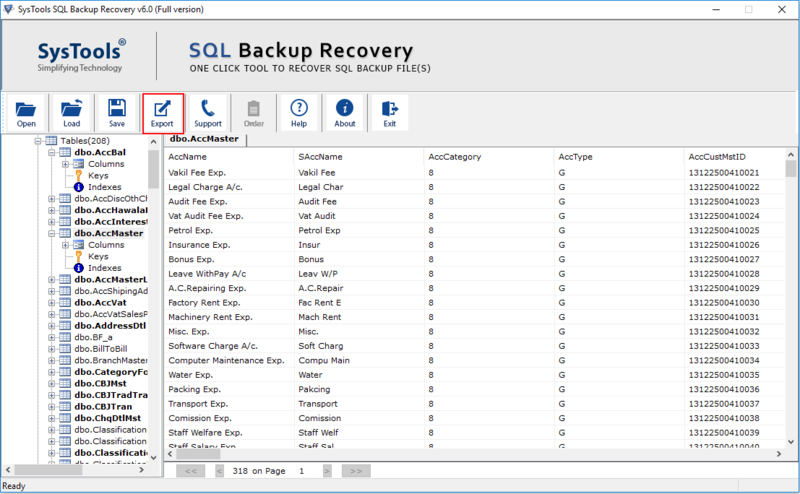 Now you can see all the recovered items of SQL Server backup file, then, further click on "Export" button and get the possibility to save the recovered items like tables, triggers, stored procedure, views etc. 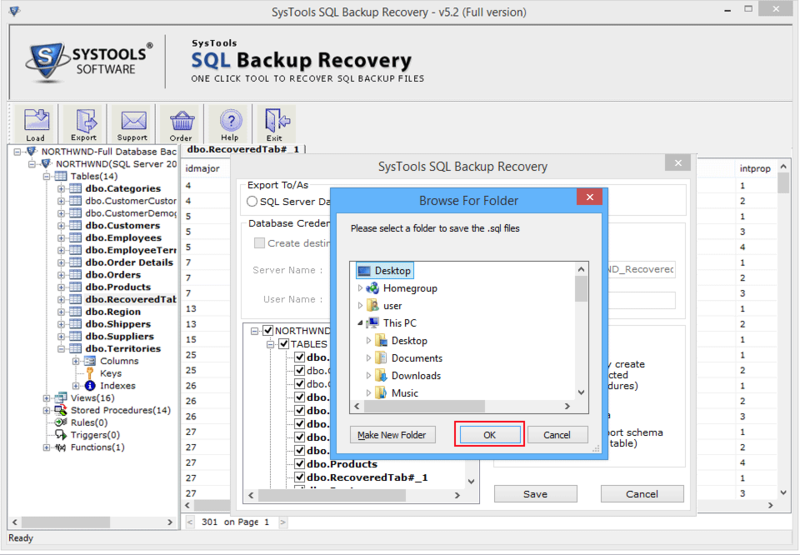 After completing export function, just load .str file which can be created through demo version in full licensed version of SQL Backup Recovery Software. 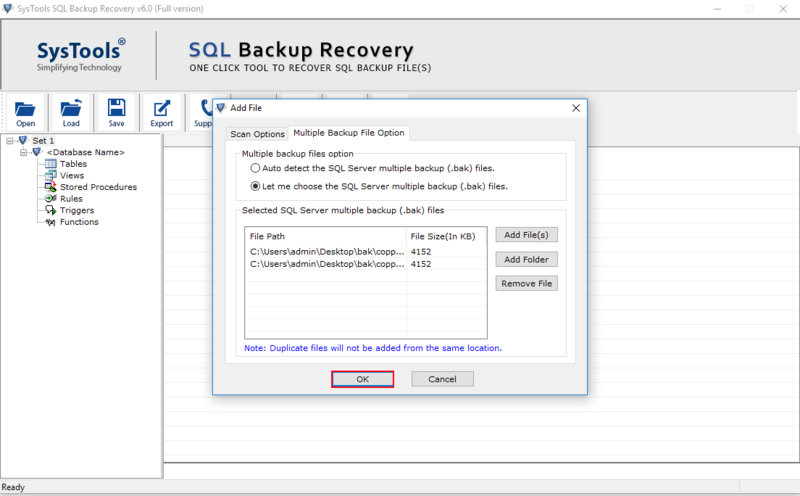 SQL Server Database: If you will opt SQL Server Database, then software will automatically save or import the repair sql backup file in existing SQL server database. 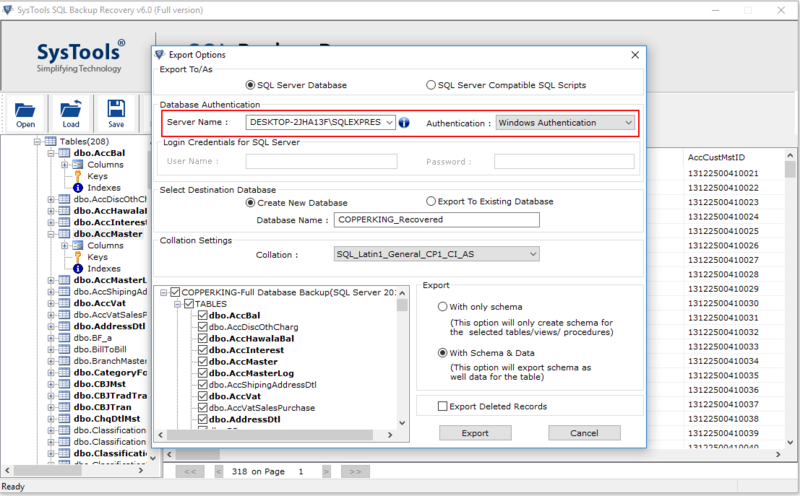 SQL Server Compatible SQL Scripts: And if you will choose this option, then you will get the option to save all SQL scripts in a specific folder. Next option is "Export/ save" option. This option will export the deleted records efficiently. Provide the desired location where you want to save the recovered file. Now you can see the database files at the provided location.